1. Select the recipient's city at the top-left corner of the website. 2. Choose a bouquet. Special filters such us bouquet types, occasions, primary colors, etc. 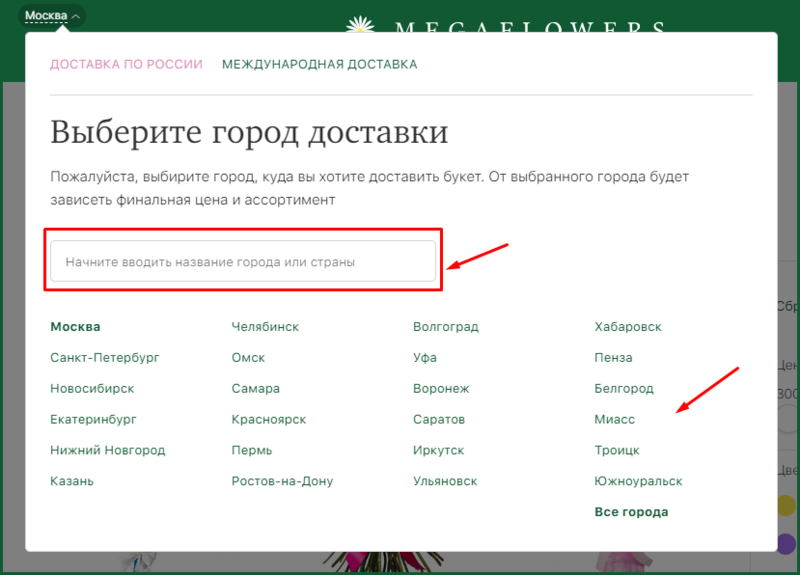 will help you to find necessary flowers. 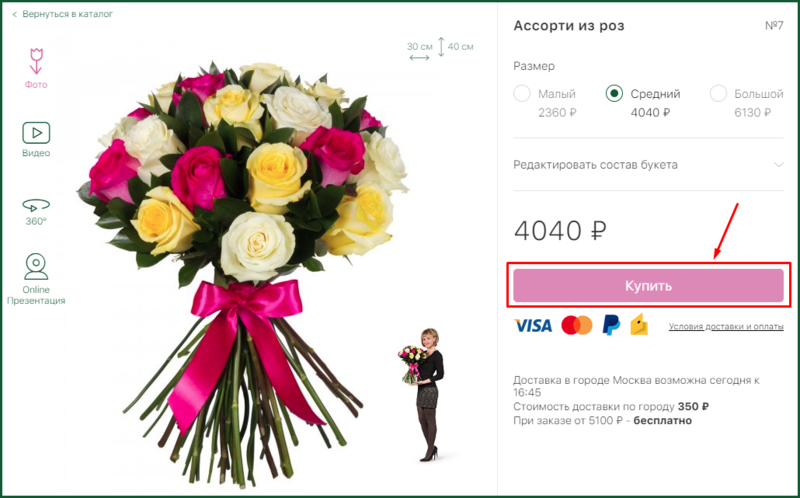 Click the bouquet photo to see information about it. 4. 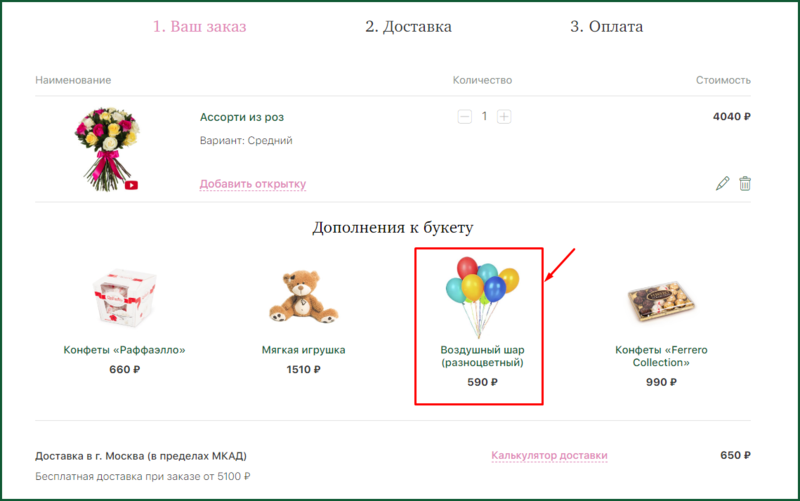 Click the «Buy» button and selected item will be added to the cart. 5. 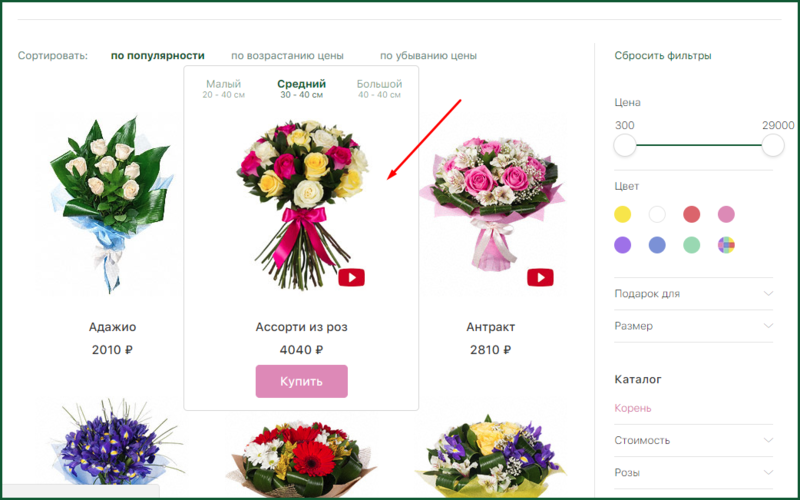 If you want to add something else, there is the «Additions to the bouquet» section at the bottom of the page. Choose necessary items and click the «Add» button below the image. If you have a promo code, enter it in the special field in the cart of your order. 6. 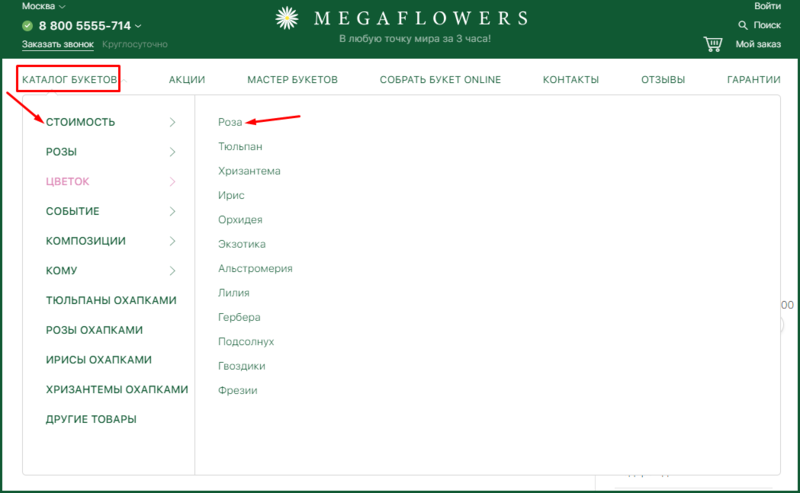 If you want to make the order by phone, click the «Quick Purchase» button and we will call you back. 7. 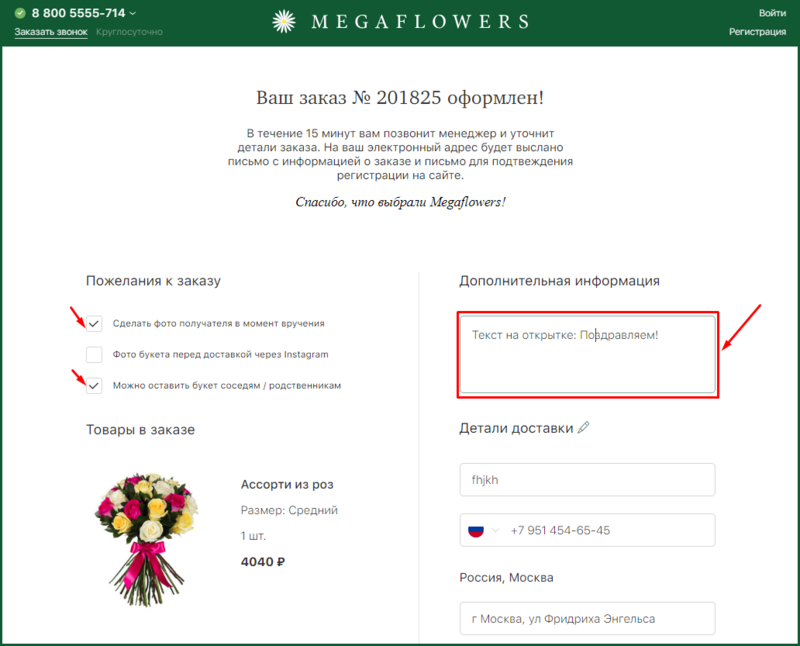 If you want to complete the order by yourself, choose «Next». 8. Fill out the order form on the website with all the necessary information about the recipient, sender and order details. After that, click «Go to the payment» button. 9. Then choose convenient payment method and click "Pay" button. 10. Complete the payment with the chosen method. Wait for confirmation payment receipt which will be sent to your email address. Starting from that moment, your order is proceeded. 11. 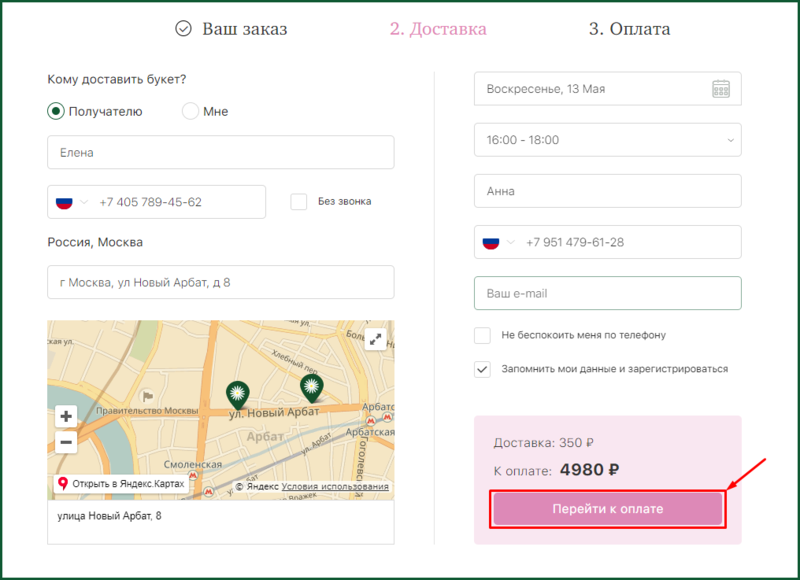 After the payment you will be sent back to the checkout page where you can add extra options of the order which automatically retain in the order.